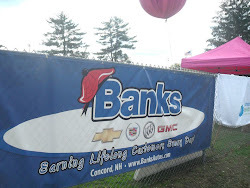 Today, Banks Chevrolet Cadillac Inc. is New Hampshire's largest Chevrolet dealer offering Chevrolet, Cadillac, Buick, Pontiac and GMC products. We're keeping the Banks family’s promise of fair deals and excellent customer service. In addition to providing exceptional service to customers, Banks has made a promise to give back to their dedicated customer base and most importantly the community. Should I Wait for President's Day to Buy My New Chevy? 1) Banks Chevy NH prices inventory super-aggressively EVERY DAY. In order to start the year off right, we’re offering huge discounts on all new GM models right now and always. There’s really no need to wait for President’s Day when Banks is offering deals on Chevy Trucks like these ones right now. Or, if you’re more interested in GMC Trucks, check out the prices on these 2014 GMC Sierra half ton trucks. Other dealers might wait for President’s Day to deeply discount their new cars, but Banks Chevy NH does not. If you want to get the absolute lowest price available on any car in our extensive inventory, just call us now or e-mail us. Our pricing will be competitive now and always. 2) GM is incentivizing customers to buy now instead of waiting. On January 3rd, General Motors announced new Owner Loyalty Cash available on most new Chevrolet, GMC and Buick vehicles. Additionally, customers are eligible for trade bonus cash, and extra rebates depending on the type of vehicle they’re thinking of buying. For instance, the 2014 GMC Sierra half ton now offers $4500 in rebates for certain packages plus additional rebates for recent college graduates and USAA members. While the President’s Day deals might be slightly more lucrative than the current rebates, they also might not be. Click here to see the great deals going on right now. 3) Inventory is limited. Many dealers are completely out of 2013 vehicles. While Banks Chevy NH has some 2013’s left, there are very few and they are disappearing fast. By February, most of these vehicles will be gone and customers will be unable to take advantage of the already substantial incentives available on leftover 2013 models. Furthermore, some of our 2014 inventory is in short supply because of new models set to come on the market soon. The Chevy Silverado HD will be completely redesigned later in 2014 and NH Chevy Dealers are unable to order any additional 2014 inventory until the new 2015 body style comes out. The same goes for the GMC Sierra HD – the 2015 GMC Sierra HD will be completely redesigned. Therefore, if you’re waiting for President’s Day to make your move on one of these trucks, you might want to reconsider as inventory will be far more limited. Maybe the most important reason of all: Do you really want to go another month without a great new car? If not, call us or e-mail us. You’ll receive a quick, no obligation price quote from one of our internet representatives. Otherwise, we will certainly be here on President’s Day weekend, passing along the great savings that you’ve come to expect from Banks Chevy NH.